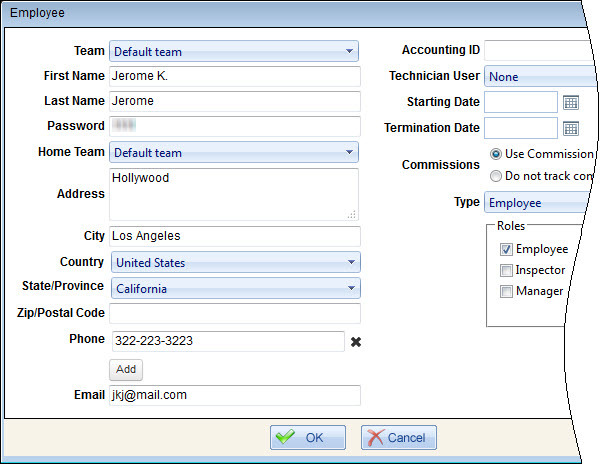 On the Company tab, click Employees, and then on the Active tab of the Employees page, click Add on the toolbar. 2. In the Employee dialog box, enter the appropriate settings, and then click OK. Team defines the team to which the employee is assigned. Password defines the password which employee must enter on the Login screen to access the mobile app.